Written by Dee Robbins for a Mass Service Alliance newsletter. MassLIFT-AmeriCorps member, Mike Leavitt, splits his full-time position between two hosting organizations in Berkshire County, the Appalachian Mountain Club (AMC -www.outdoors.org) and Greenagers (http://greenagers.org/). Mike’s service activities are multi-purpose, combining goals of community building, environmental stewardship, and youth empowerment. Mike engages local high school students in a variety of activities, from helping families build front yard vegetable gardens to removing invasive species from public parks. 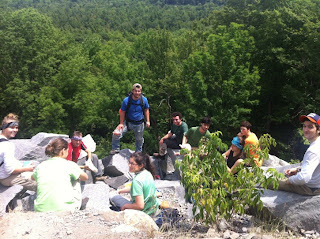 Many of the youth volunteering with Mike do trail work. Traditionally, AMC’s teen trail crews work along the Appalachian Trail or on state park trails (http://www.mass.gov/dcr/). 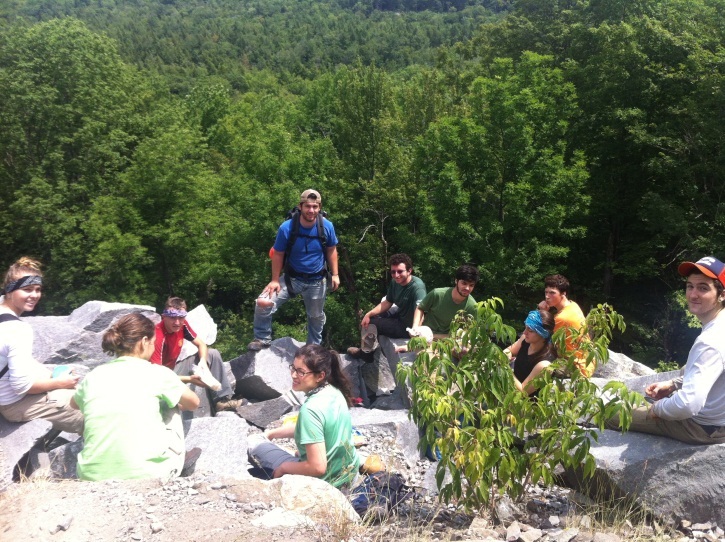 With the help of MassLIFT-AmeriCorps, AMC has been expanding its relations with other non-profit organizations in Berkshire County and connecting with trails on land conserved by local land trusts. This summer, the youth on Mike’s two teen crews will provide both the Becket Land Trust (www.becketlandtrust.org) and the Monterey Preservation Land Trust with 400 volunteer hours of building and maintaining trails.